Uno John Palo-Kangas (Uuno Johannes Palokangas), 1937 (?). Micheltorena School, Los Angeles. Photographs courtesy of Earl Kangas. The photograph was taken in 1937. 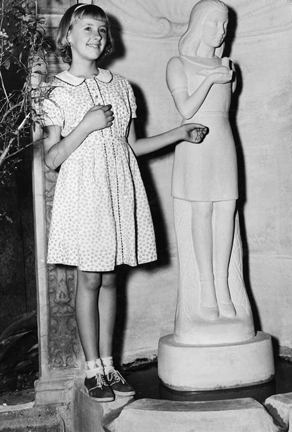 It shows Shirley, Uno's oldest daughter, who was the model for the sculpture. The photograph on the right was taken in 1978. 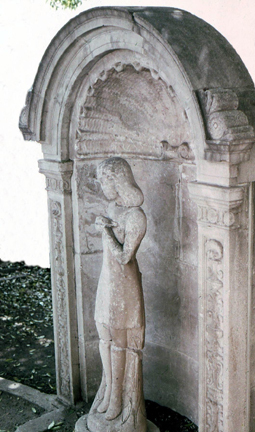 The sculpture was stolen from the school in 1978, and later returned. During the hiatus it was damaged and broken in several places.